Upgrade pricing for everyone! 50% discount until August 31st! 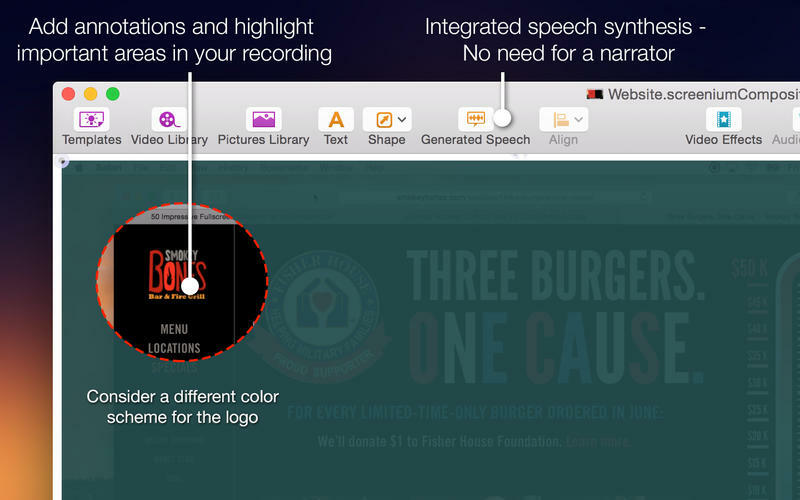 Record exactly what you see on the screen and turn it into a screencast in next to no time. Screenium 3 lets you record at 60 frames per second, offering optimum performance for your tutorials, gameplay recordings or any other screen content you wish to record. If you work with an ultra-high resolution 4K or 5K display or a Retina Mac, Screenium 3 puts you on the safe side as it creates the smoothest video quality possible for these types of devices. But Screenium 3 offers much more than ultra-smooth video capture. 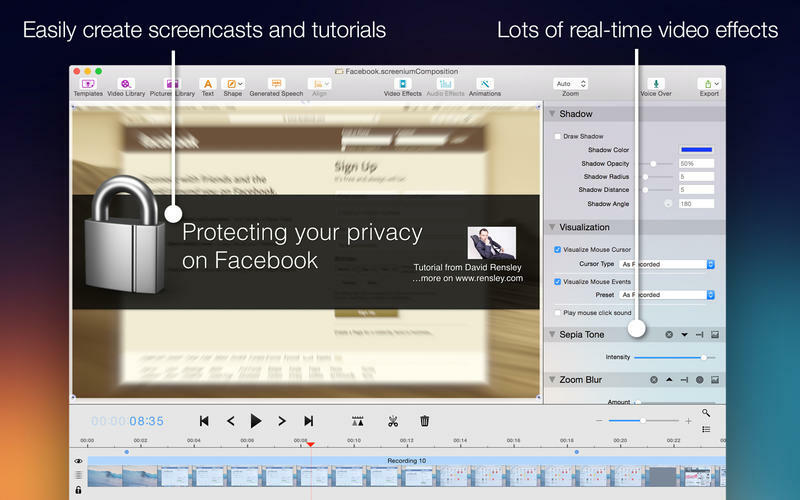 Take advantage of numerous convenient tools that will help you create your perfect screencast. For example, you can embed iSight-footage as a Picture-in-Picture clip, add audio comments or hide your desktop or desktop symbols during recording. Screenium also records the mouse pointer as a separate track so you can visualize mouse clicks or edit them at a later point without any hassle. Screenium’s comfortable and powerful video editor provides you with all the tools you need to cut your footage, embed texts or add effects, transitions, or animations. Accentuate mouse clicks, add geometric shapes or hide screen sections that contain personal information. Of course you can also edit audio tracks and add filters to them. Using text synthesis, you can even add multilingual audio comments or auto-generated voice tracks.